Gone are the days when you can actually shop till you drop. You know, from all that walking and carrying those bags of shopping around Orchard Road. Riding on the hype of the 11.11 and Black Friday sales, you may think the 12.12 sales will be overshadowed and that Singaporeans would get sick of spending their money. Well, this report about Shopee users by Shopee will surprise you (or not). Shopee kicked off their birthday celebrations on 29 November leading up to the actual day on 12.12 with their daily thematic sales. Other features during the sale include Shopee Shake, a game that lets users shake for Shopee coins that can be used to offset the cost of their orders, daily flash deals, Shopee Mall Brand Box releases, and more. 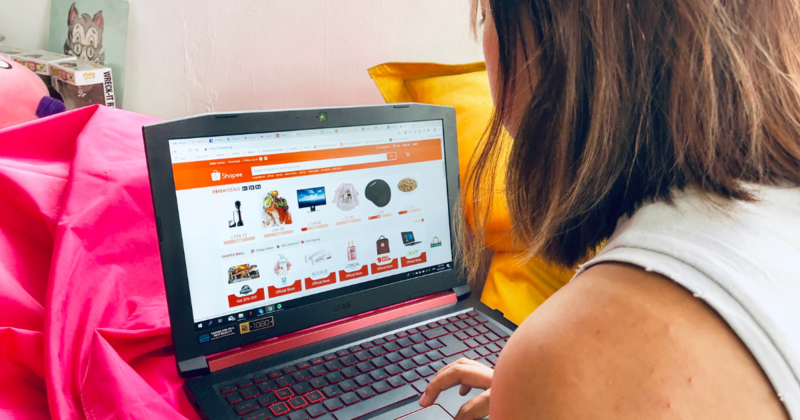 A Shopee spokesperson shared that the company saw over 12 million orders across the region for 12.12, breaking all past records and the ones they set last month for 11.11. Shopee Shake had 46 million plays throughout the campaign and the newly launched Shopee Quiz had 11 million participants from across the region. The popular e-commerce platform believes that “this is a result of their localised approach to bringing the best online shopping experience for both buyers and sellers across the different markets”. They added that Shopee tailors to users’ behaviours and personalises their platform and marketing for each market through their local teams. According to the Shopee spokesperson, the themes were set according to what features or categories were most well-received by users in each country. For Singapore, it’s noted that there are days dedicated to fashion, kids & babies, food, beauty, and home. The top three most popular categories during the Shopee 12.12 Birthday Sale in Singapore were: Beauty & Personal Care, Home & Living, and Mobile & Gadget. Beauty brands Laneige and Kao, and audio brand JBL emerged as leading brands during the sale. Based on these insights, a good guess would be that these purchases are coming from young working adults stocking up on necessities for their new homes and amping up their home entertainment system. With two Asian beauty brands taking the lead, one can reckon that Singaporeans have taken the opportunity to invest in quality skin care products at a value-for-money price. As Christmas comes around, the sale happened at a good time where people could take advantage of the season to shop for gifts, and items from any of the top categories would make practical presents. Did you shop on Shopee on 12.12? Share with us your loot in the comment section below!